It can be easy to get caught up in the day-to-day noise of deadlines, meetings and emails. No matter how busy you are, it’s important to take time out to celebrate the birthdays of your employees. Some truly Unique Personalized Gifts for Employees is something that can go a long way to making them feel special on their birthday. Feel valued at work, according to the 2017 Employee Engagement Report. Longer retention of employees by Companies that celebrate milestones at work. That is a concerning number as this could be one of the major reasons for increased absenteeism, increased turnover and decreasing engagement levels at offices. When team members view their work as exciting, and they feel recognized, they are more likely to do the great work. 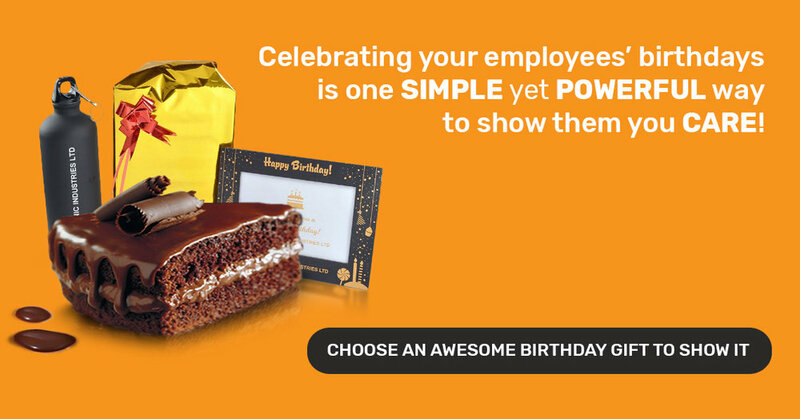 When you celebrate an employee’s birthday, you are getting the message across very clearly that you care for them, that they are your valued assets and not just a machine for getting rewarded only if they are highly productive! Birthdays are a key milestone in everyone’s life, and your employees are no different. Employees feel ‘connected’ to the company and believe that the organisation values their personal milestones. Birthday celebrations provide an enjoyable break from the routine and boost employee morale! It also improves the employees’ attitude towards their work and workplace. Celebrating birthdays at the workplace helps create a sense of team unity among all the employees. The relaxed atmosphere encourages colleagues to get to know one another beyond the work they do. In fact, birthday celebrations can be a great platform for team bonding. Being recognised or watching fellow employees being recognised serves as a boost to motivation to perform beyond expectations. Give them a little treat with their choice of cakes, cookies or whatever they like. Ask your team to play the detective here and figure out which treats to bring in. Decorate your employee’s personal space, his desk with some treats and fun elements like pictures of their favourite celebrity, colourful balloons, etc. Leave a small gift or two! Show Your Gratitude With A Note From The Whole Team! Instead of the generic birthday card, tell your colleagues to write personalized messages on a big sheet of paper about the employees’ contribution and what they like most about working with that person. This becomes a great memory for your employee, and he feels valued. Give Them A Gift Card! A gift card is the best option for employees who are slightly introverted. For example, a dinner for two gift card at their favourite restaurant is surely set to cheer her up. Alternatively, you could give them a shopping gift card of the clothing Brand they prefer. Shine The Spotlight On Them! Send out emails to your entire internal official network informing about the birthday and little pieces of information about them. Highlight their accomplishments and the fact that you are happy to have them working for you. You can also highlight and post this on your Twitter platform or blog, to let the world know that you value your employees on their birthdays. Give Them The Day Off! Some employees might be interested in spending their birthdays with their family members. Respect that fact and give them the day off! It is one of the best ways to show that you value them. Get The Bosses To Say Happy Birthday! Make it a policy for all the higher-ups at the office to send a personal birthday note to the employees. It is important to remember the meaning behind the gesture – to make people feel valued and appreciated by their employer and what better way to do that than having your boss sending you warm wishes on your birthday! Don’t be inconsistent in celebrating some birthdays and missing out on others. This will hurt employee morale. Don't even think of giving run-of-the-mill keepsakes. Don’t send emails and posts on social media about an employee’s birthdaywithout asking If the person is comfortable with it or not. And… DON’T publicise the year of birth! Before planning a Birthday Celebration for your employees, do keep in mind, some of them may not be open to the idea for either personal or religious reasons. Ensure you know if they really like their birthdays being celebrated. At Engrave, we hope to become your partners in celebrating the birthdays of your employees by providing meaningful and unique gifts for employees. We understand the importance of a gift meeting two basic requirements – something that your employees would remember beyond their birthdays and something that would immortalise your company as one that cares about its people! 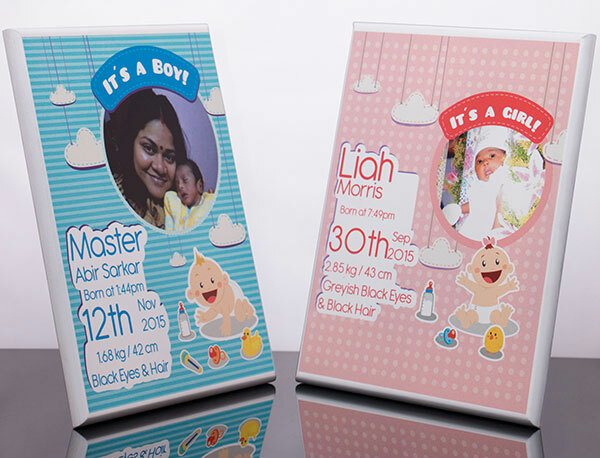 With the help of our team, we create unique and classy personalised gifts for your employees, crafted for your needs. Remember, a small gesture goes a long way at work… Celebrate employee birthdays with gusto and watch them give their best to their work and the company!